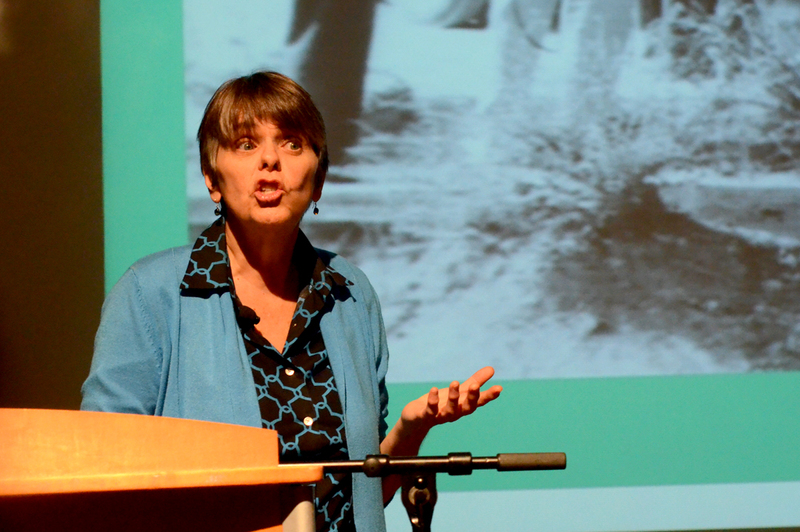 In 1965, 13-year-old Mary Beth Tinker was suspended for wearing a black armband supporting the victims of the Vietnam War against school policy. The suspension led to the Supreme Court decision supporting children’s and teachers’ rights to free speech in Tinker v. Des Moines. Ever since, Tinker has advocated for children’s access to free speech. Children have the right to demand agency as well as adults. “We have always needed young people to notice injustice,” Tinker said at Ohio University on Thursday. Young people such as Albert Einstein, the Birmingham children and Claudette Colvin have changed history. Yet, Tinker never understood the true impact of her decision until she saw the case in a book while studying in nursing school. Up until a year ago, she held a position as a pediatric nurse. Now she travels across the United States for the Tinker Tour, celebrating nearly 50 years since the 1969 Supreme Court Decision. She has toured 41 states in the United States, and has travelled internationally to countries such as Brazil and Scotland. “The goal of the Tinker Tour is to bring real-life civics lessons to schools and communities through my story and those of other young people,” Tinker said. Nerissa Young, E.W. Scripps School of Journalism Professor, assisted in the Tinker Tour stopping at OU. Young interacted with Tinker previously for an interview in the past concerning the state of high school journalism. She experienced a “serious geek moment” when she met Tinker. “When looking at history, these figures seem superhuman, but we forget they are regular people doing the best they could do,” Young said. Senior Kerry Tuttle expressed the same sentiment. After taking Communication Law with Dr. Edith Dashiell, she looked forward to hearing Tinker’s view on the subject. “I want a different perspective than the textbook. I want to hear personal perspective of the event,” Dashiell said. Young notes that often we take free speech for granted; Tinker personally suffered for others to have that right. “Journalism is not a popularity contest. Controversy is for education, for democracy,” Tinker said. During the question and answer portion, students asked her opinion on OU Student Senate President Megan Marzec. Tinker believes Marzec has the right to speak her mind. Critics are going to the extreme; Marzec is receiving death threats for speaking her opinion. Tinker relates to Marzec in many regards. Both received backlash for expressing their opinions. Tinker remembered receiving death threats. Extremists even threatened to bomb her house and endanger her everyday life. By standing firm behind the First Amendment, Tinker acknowledges that controversial topics arise. The First Amendment applies to various areas, even those that do not seem appropriate. Robert Stewart, director of the Scripps, noted how First Amendment rights can lean toward uncomfortable subjects. The Westboro Baptist Church, for example, pickets at soldiers’ funerals whom they damn. “It is hard to watch the picketing of war veterans’ funerals,” Stewart said. However, the Supreme Court has not always ruled in favor of freedom of speech. In 1988, the Supreme Court took a step back in Hazelwood School District v. Kuhlmeier. Tinker shook her head at the highest court’s decision. “Who gets to decide what is important? You speak up for what you think is important,” Tinker said. On her journey, Tinker has traveled 15,995 miles to promote First Amendment rights. She continues to promote democracy for the next generation.